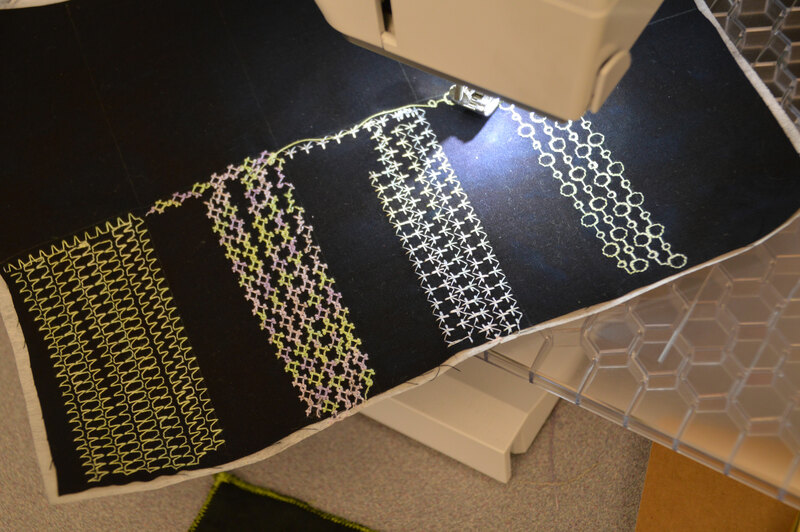 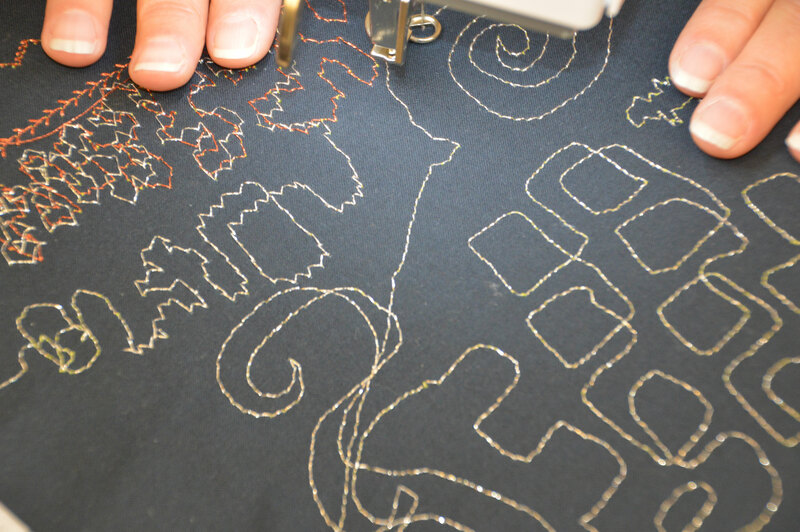 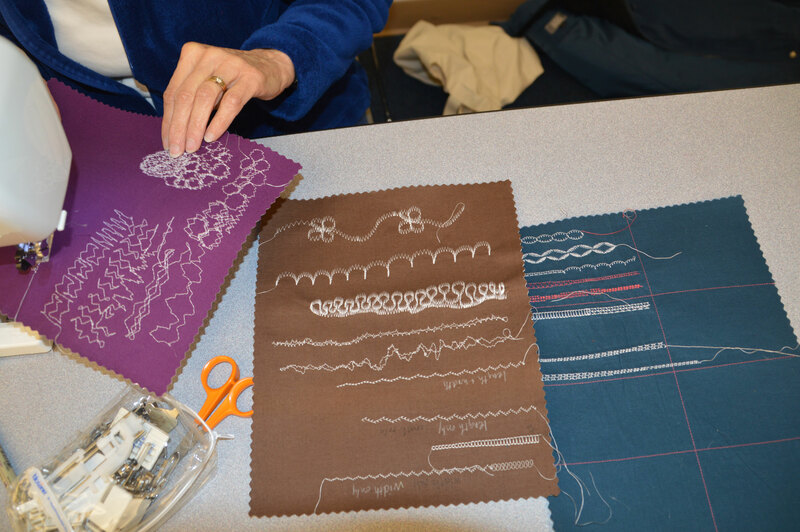 The January meeting found us learning about thread painting with the decorative stitches on our machines. 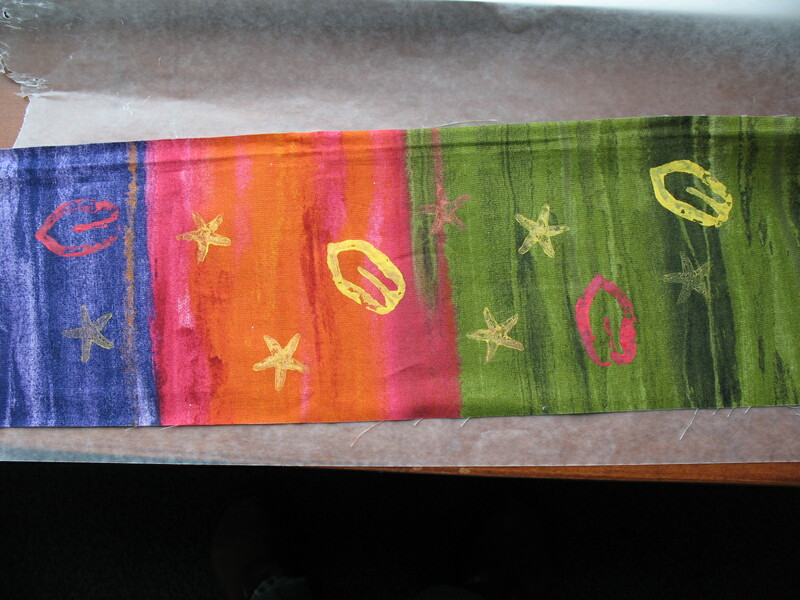 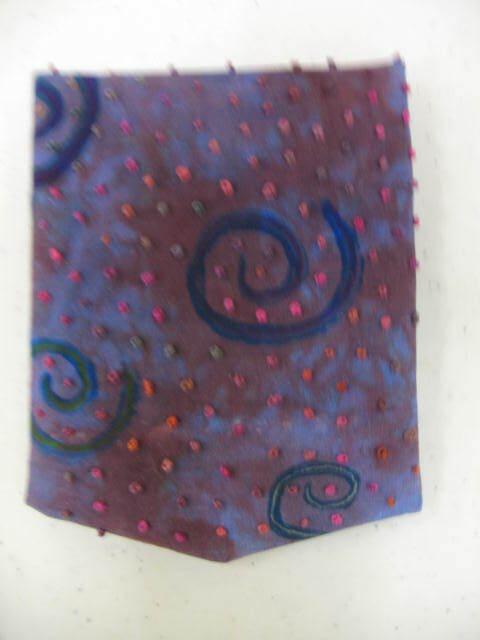 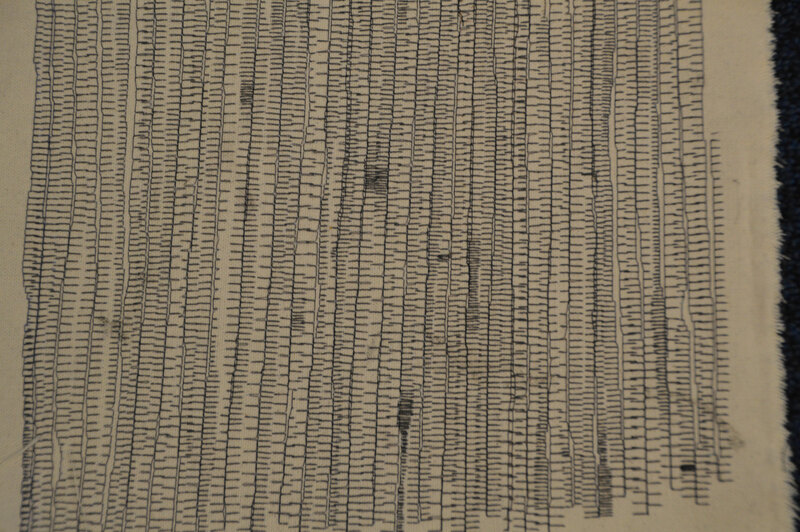 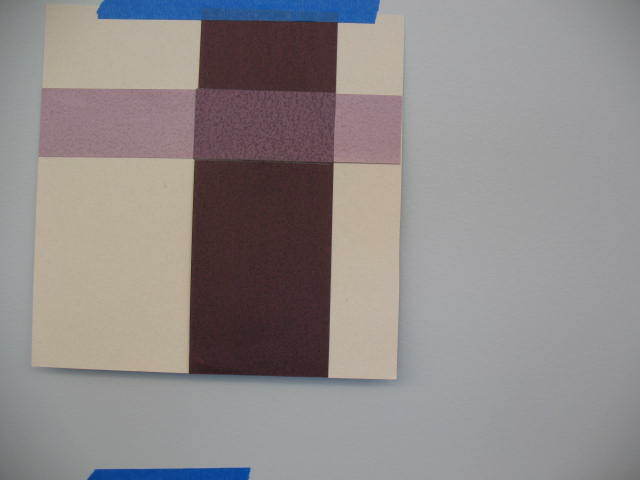 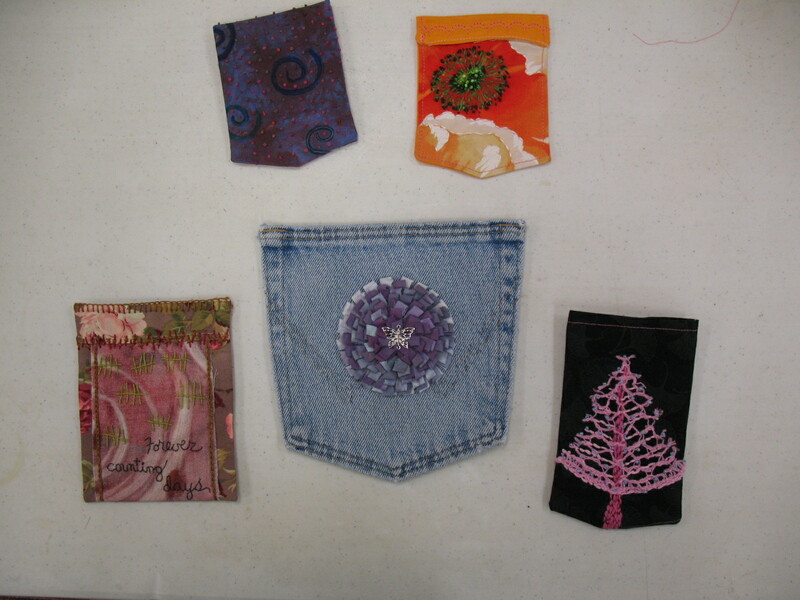 Some of us just experimented on scrap fabric. 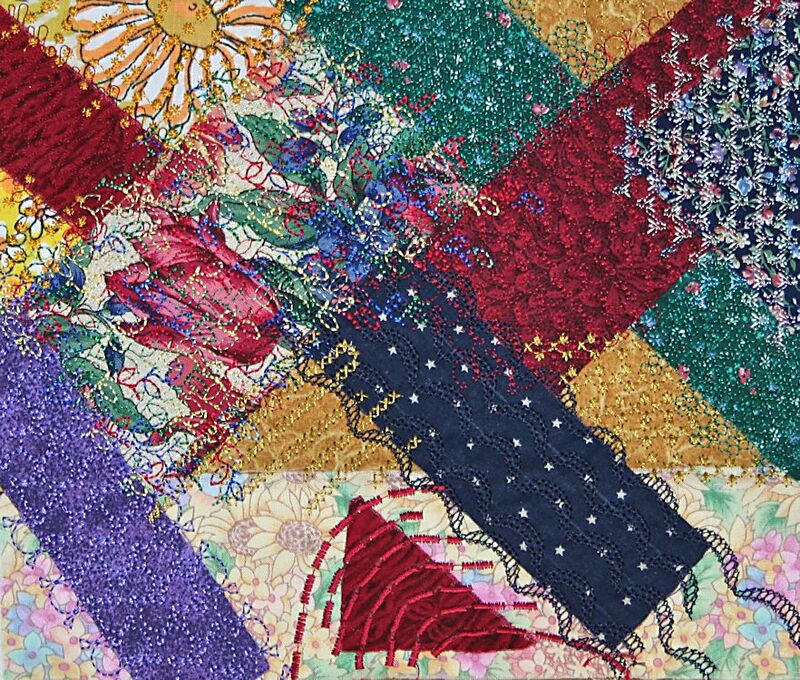 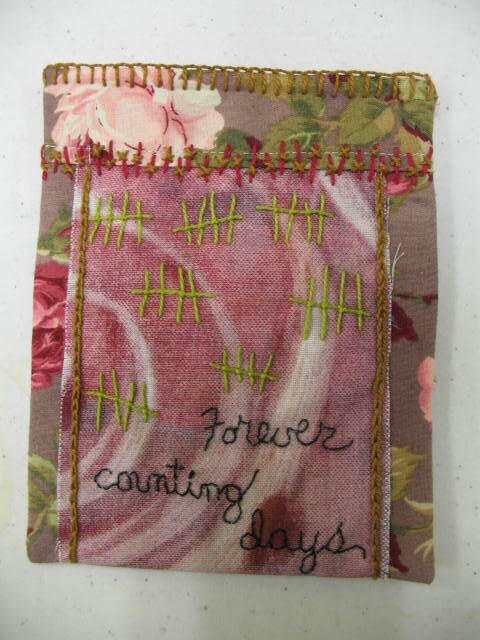 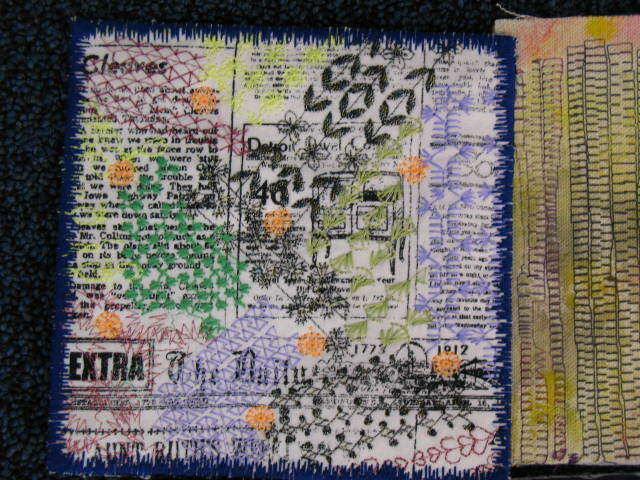 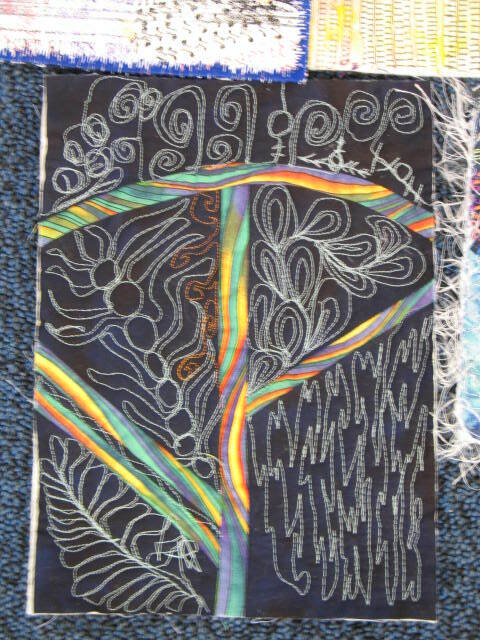 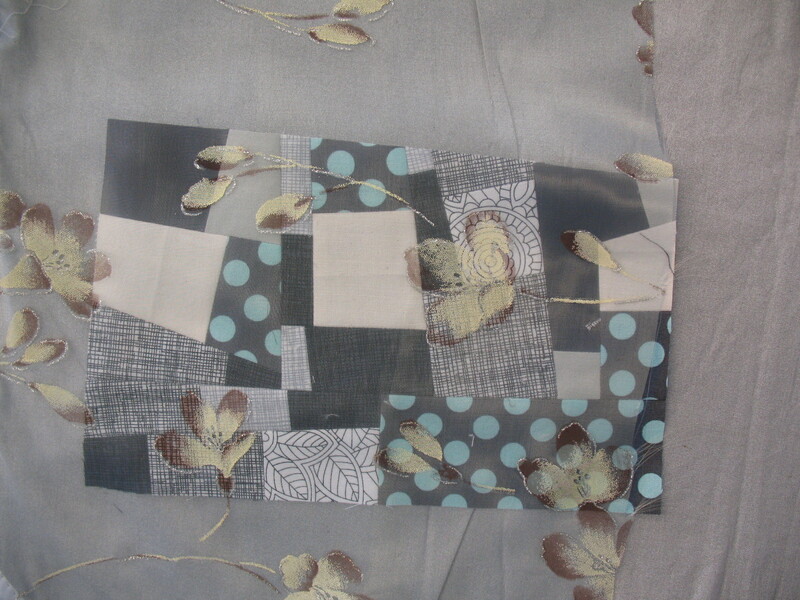 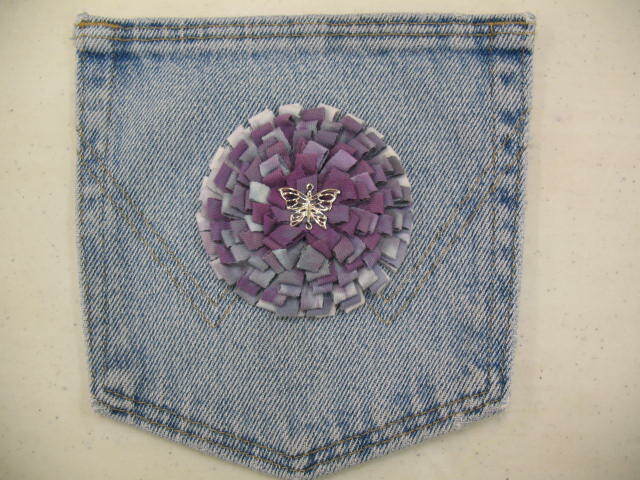 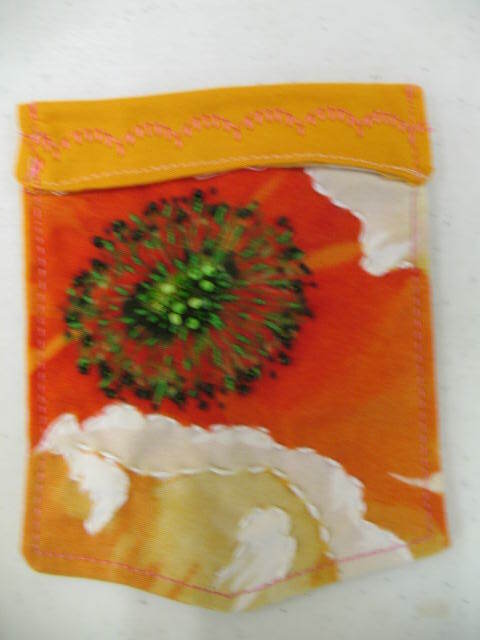 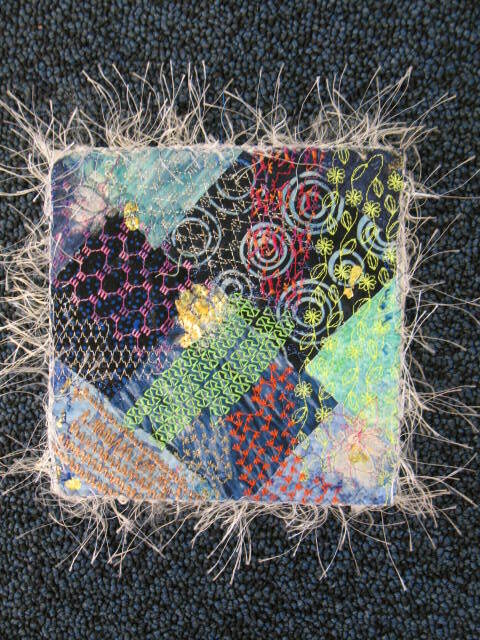 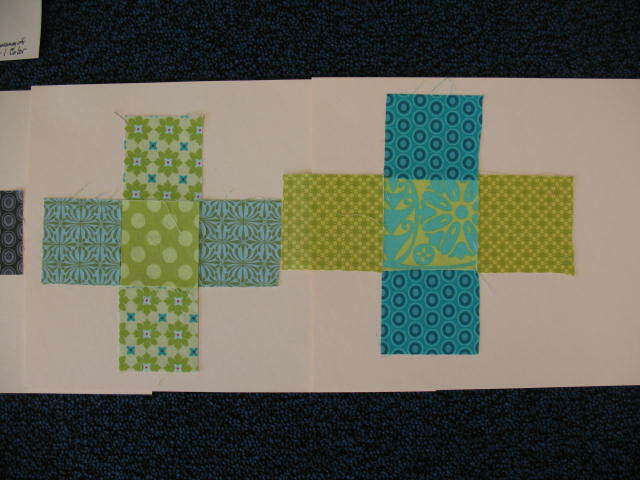 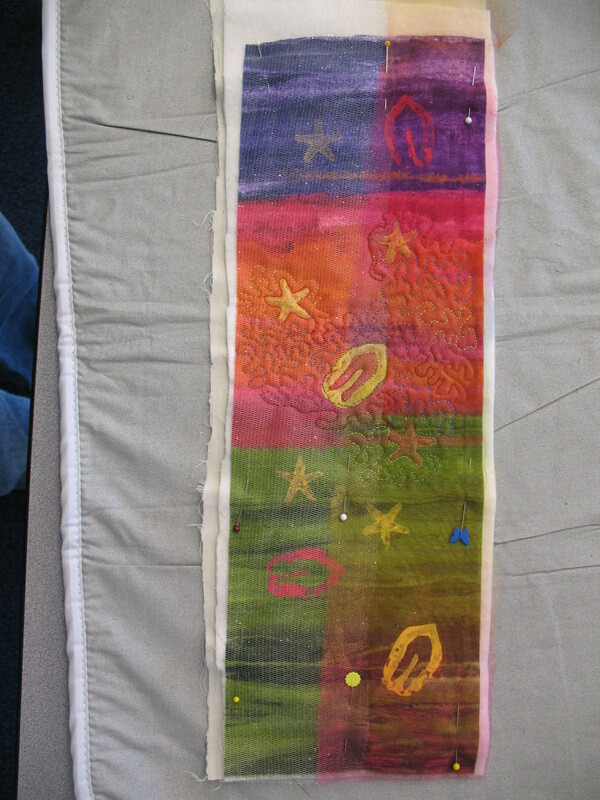 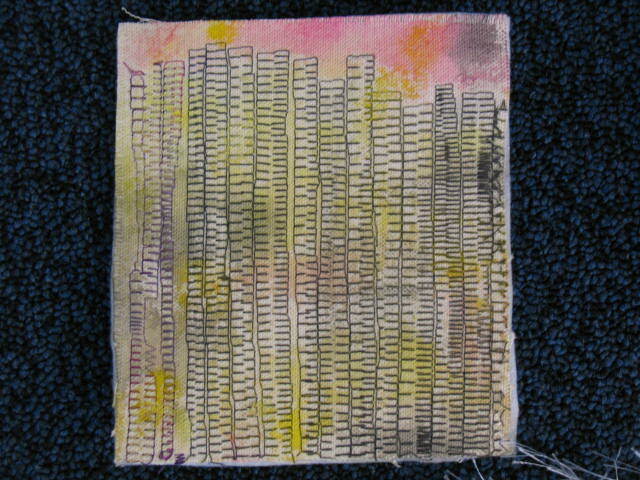 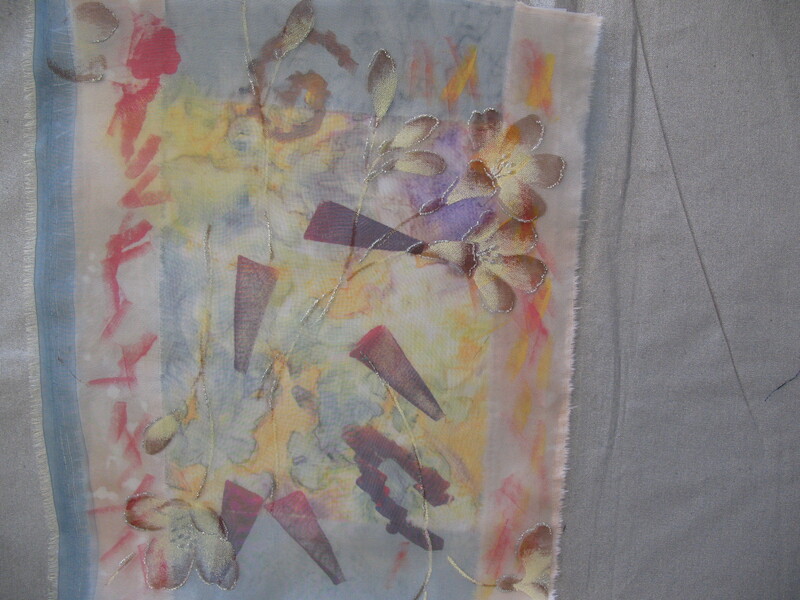 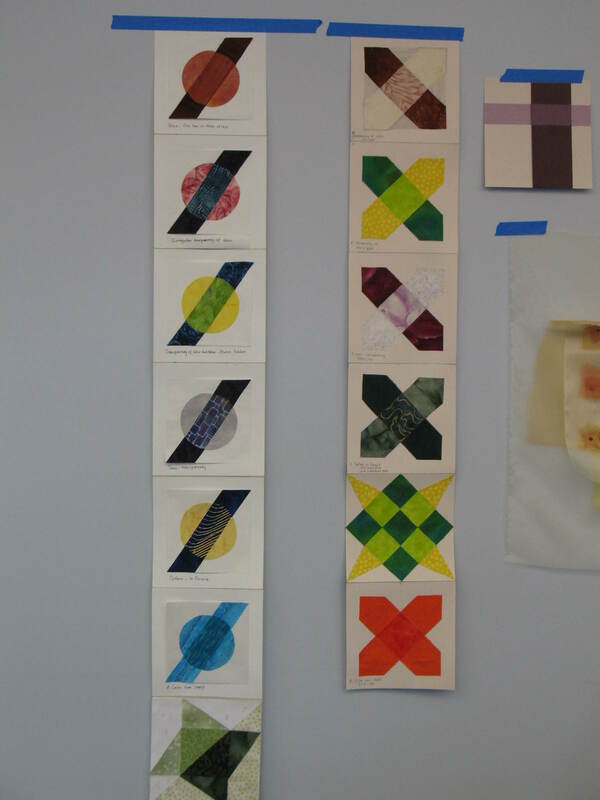 A couple made fabric collages and used our stitches to embellish. 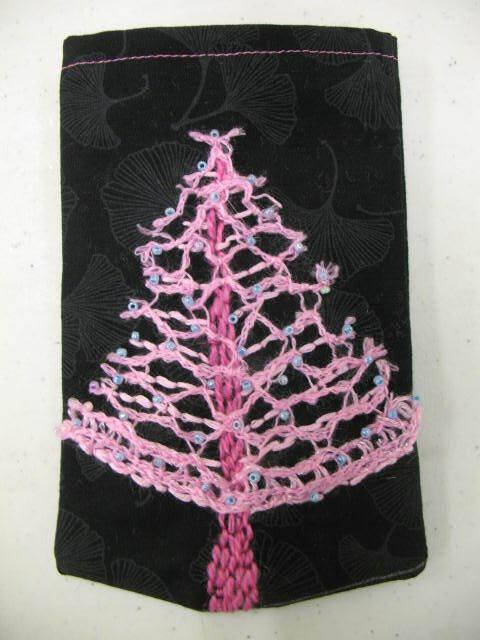 Julie combined using ribbon and decorative stitches with great results. 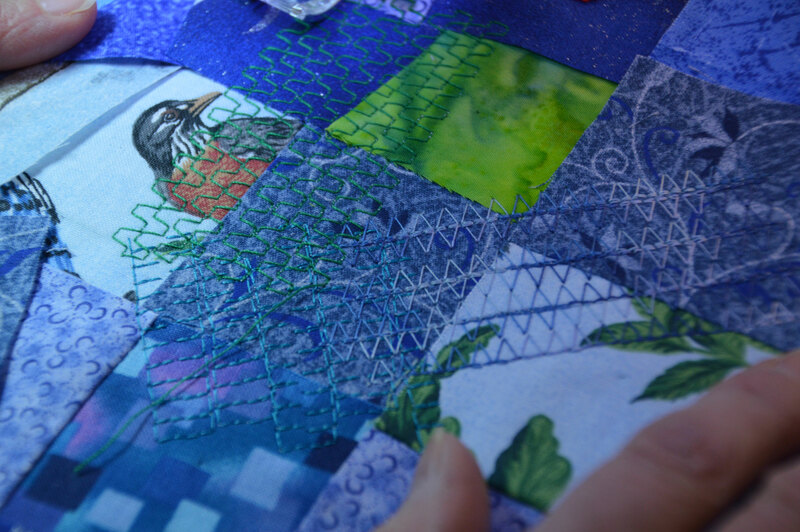 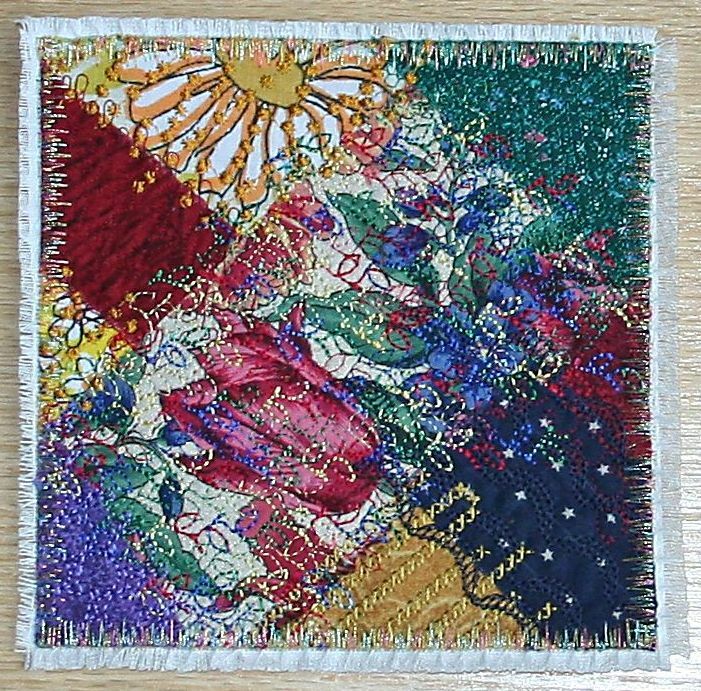 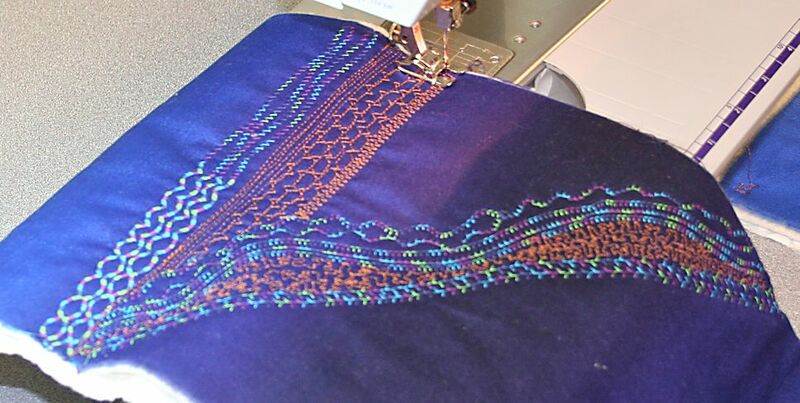 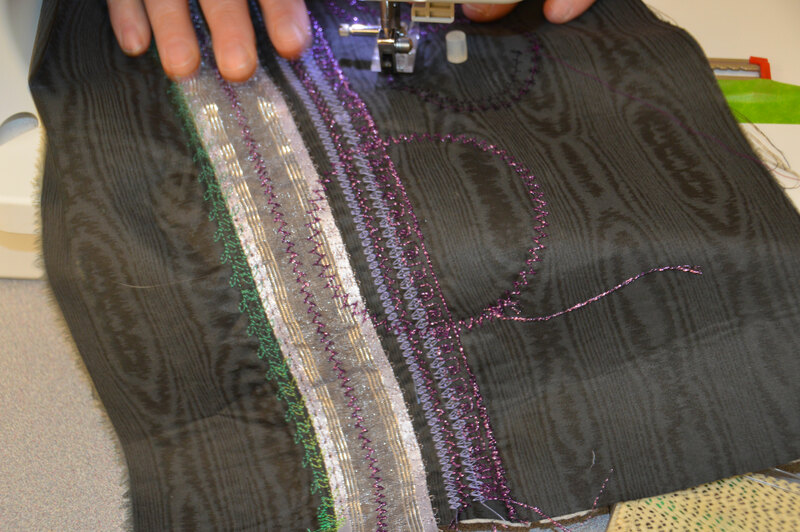 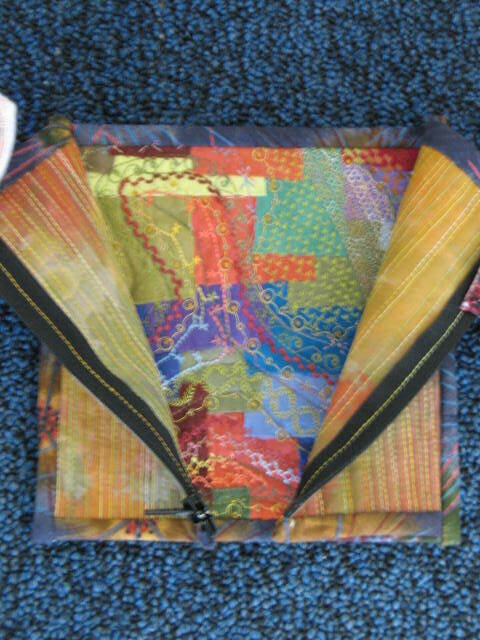 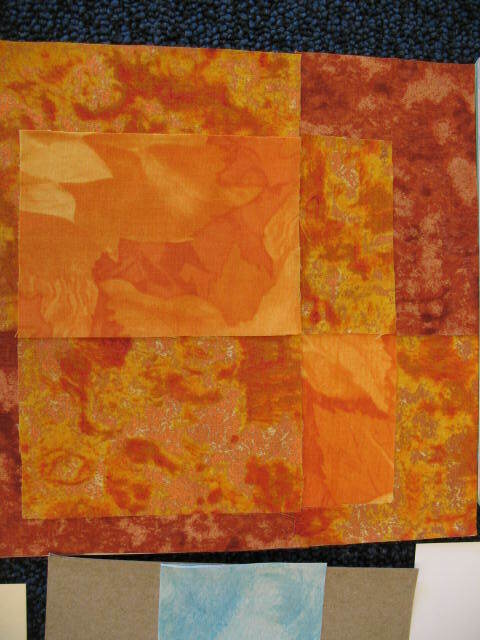 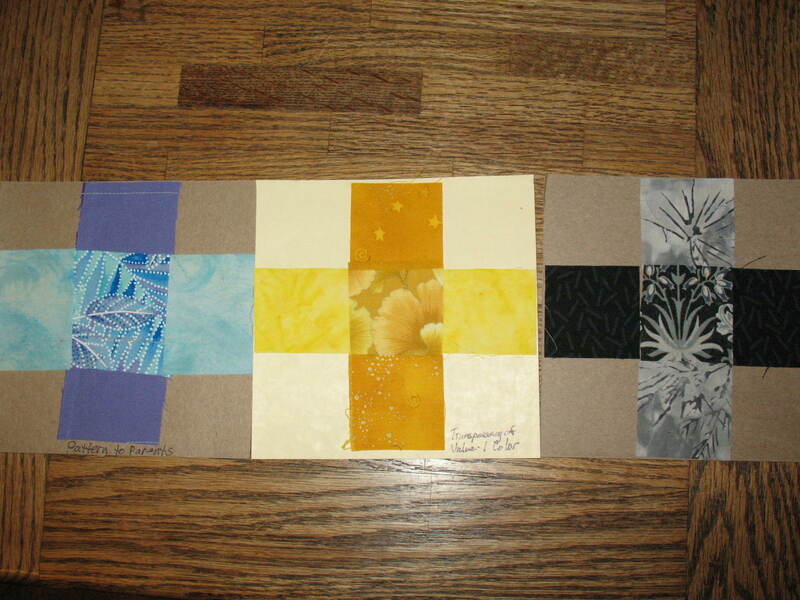 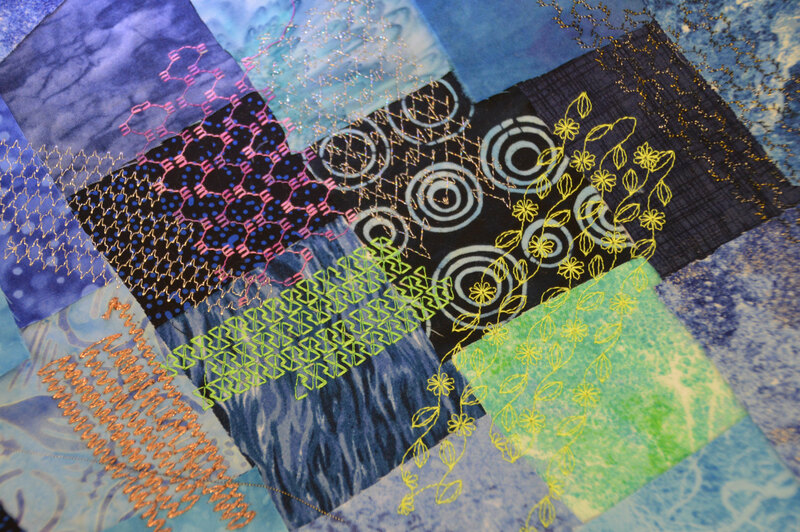 Janet started experimenting with free motion quilting with the decorative stitches. 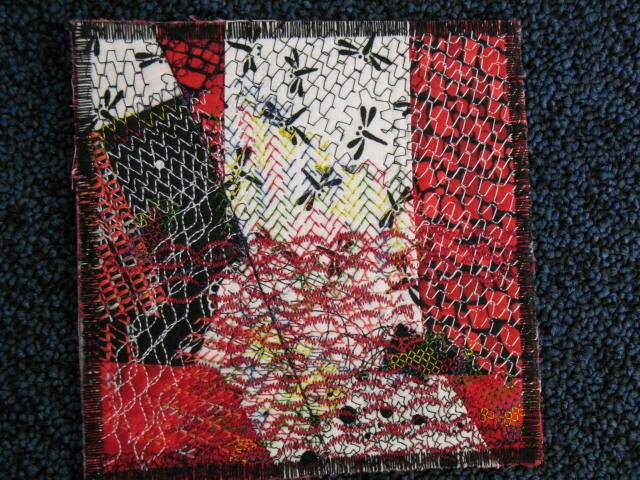 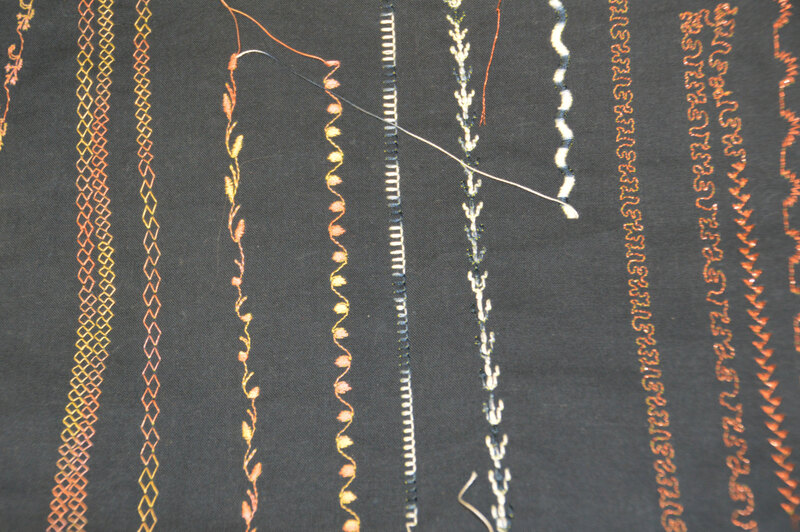 Kathy choose to use just one stitch and thread but varied the length and width along the way. 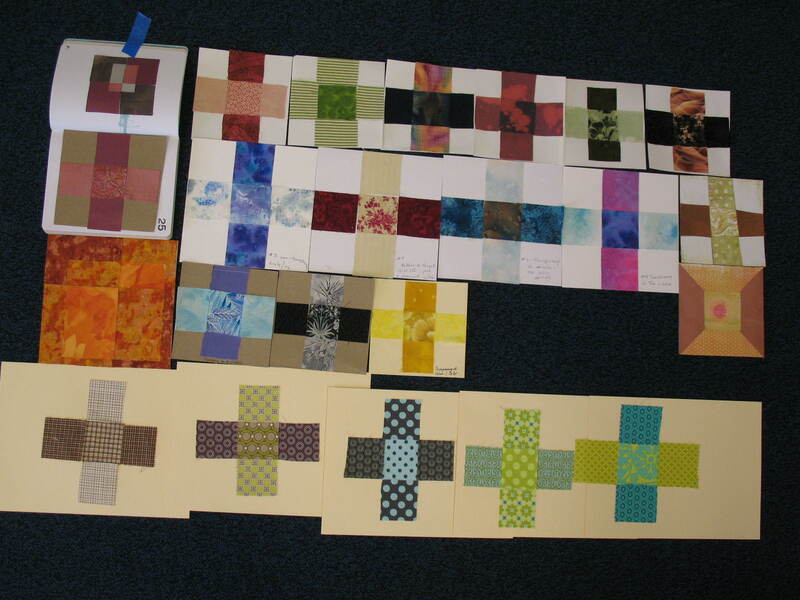 That is why we like to work as a group because we always discover something from the other members creativity! 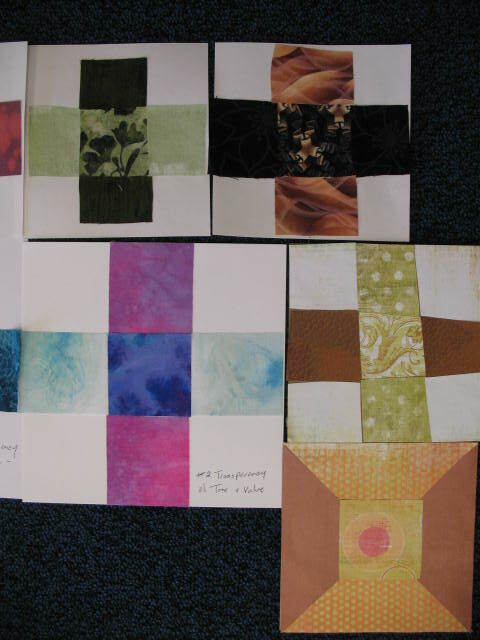 I’m including a few pictures from our playing!